Is Your Sweat the Future of Health Tech? Medical tech development is one of the most exciting fields to be in. There’s no shortage of innovation, and solutions to problems can take many different shapes and sizes. But a new device is leaving even seasoned health techies astounded. 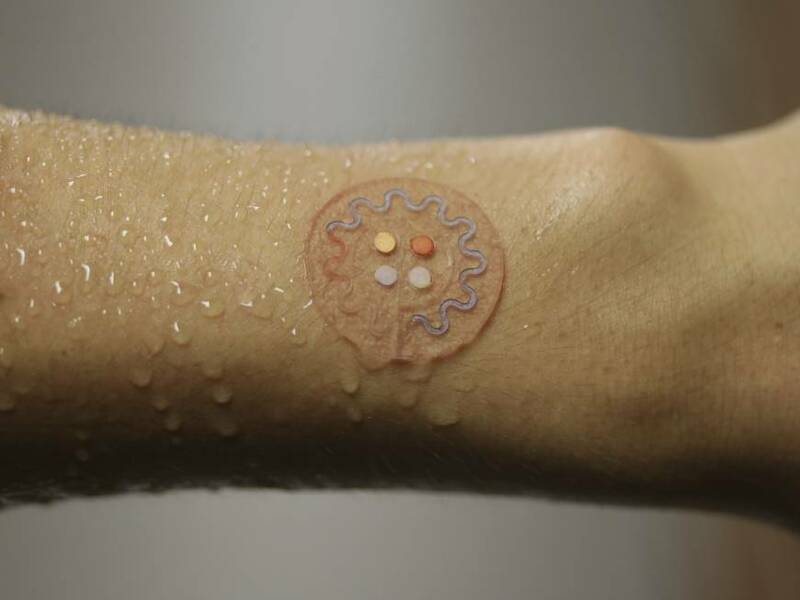 A soft, wearable, and wireless patch is currently being tested to analyze the chemical contents in your sweat. If successful, this battery-free device could monitor and diagnose health issues like cystic fibrosis and diabetes in an unprecedented way. In one year, you may be able to wear a small, stretchy patch on your arm to deduce if you’re dehydrated or need more electrolytes. And no, this device isn’t from Fitbit or Apple. 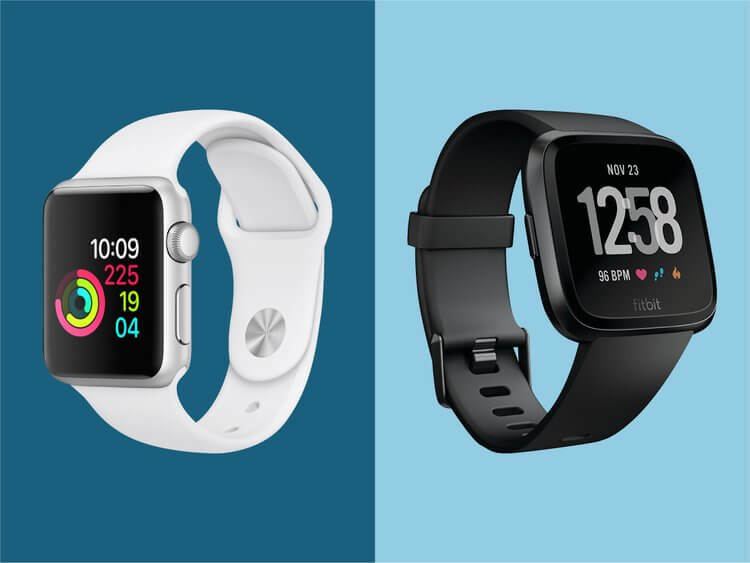 While fitness trackers from these companies allow users to record steps, measure heart rate, and detect sleep rhythms, they’re still mostly limited to gathering mechanical metrics for their data instead of a user’s underlying biology. Plus, they’re a little too rigid and bulky to be versatile across different medical settings. A whole new wave of devices is racing to fill this void. Striking a balance between comfort and effective data-gathering, these new solutions are able to produce a real-time picture of the wearer’s health. They’re also small and easy enough to wear that anyone from babies to senior citizens can use them. And while they may vary in aesthetics or functionality, they all have one main ingredient in common: your sweat. This type of technology has been in development for years. But due to recent breakthroughs in related fields, it has finally gotten the jumpstart it needs to become more viable. Recently, the journal Science Advances covered the latest entry in sweat-analyzing technology. It’s a device that can provide real-time data on the user’s sweat rate, pH, and a variety of chemicals like chloride, glucose, and lactate. High levels of any of those chemicals could respectively be an indicator of cystic fibrosis, diabetes, or a deprivation of oxygen. This device marks a new achievement in terms of versatility and resourcefulness. But contrary to common assumption, it’s not from a San Francisco-based developer of health tech or big pharmaceutical company. It comes to us courtesy of Illinois. Your sweat flows into one of the many minuscule holes at the base of the device. It is then routed into a reservoir thanks to a complex network of microchannels (each one is the width of one human hair). 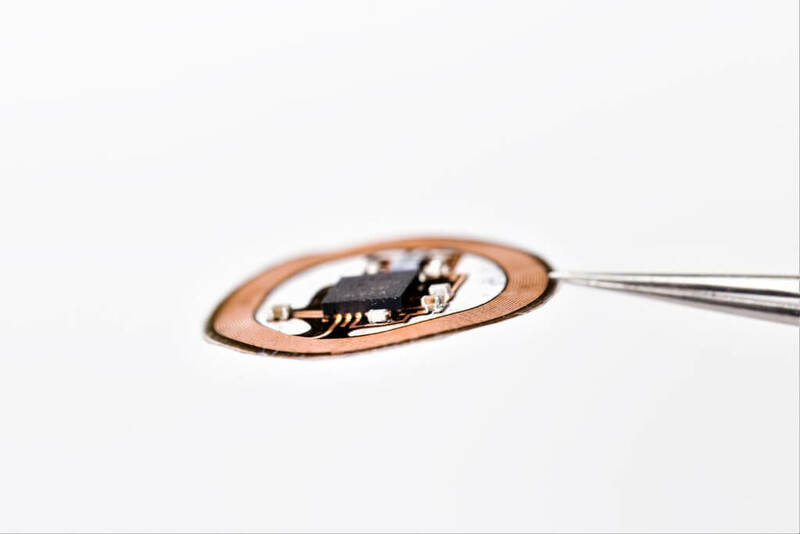 From there, a sensor in each reservoir reacts to your sweat chemicals to elucidate insights. To send data, the device relies on the same wireless coupling technology that smartphones utilize for wireless payments. The microchannel system can be set up to track one or numerous chemicals over time, which can be useful in a plethora of athletic events. 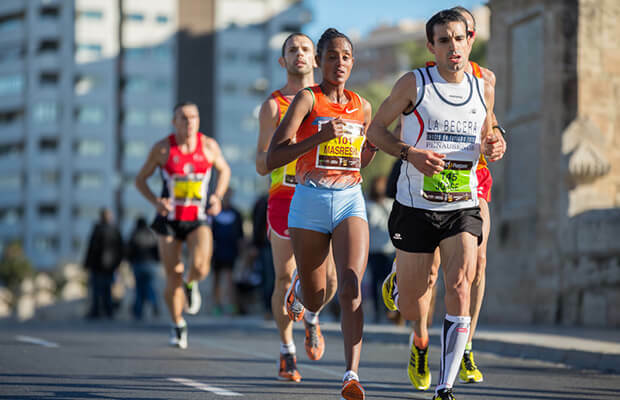 For example, a runner could get real-time information on their lactate levels during a marathon. Or, because the device is waterproof and adheres to the body, it could even be used to track a swimmer’s performance. Eventually, the device does fill up with sweat. To tackle this problem, the entire device is modular. Simply separate the microchannel system from the electronics and swap it for a new one. Dr. Rogers and his team are currently testing the device as a way to detect cystic fibrosis. Typically, doctors already utilize chloride presence in sweat to identify the rare genetic condition. But this usually requires an uncomfortable device that needs to be strapped tightly to the patient’s arm for only one measurement. The team plans to apply for the Food and Drug Administration’s approval soon. 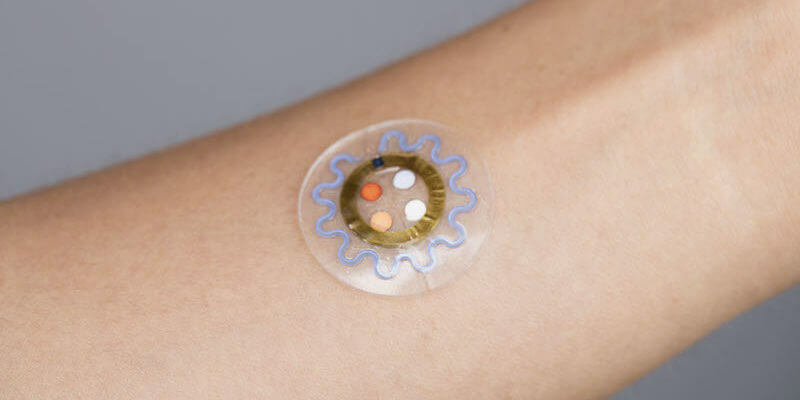 If approved, the device could help roughly 30 million sufferers of diabetes in the U.S. monitor their glucose levels. But other industry insiders have raised some concerns. They believe we still don’t know enough about sweat to leverage the full capabilities of this device. Questions like how sweat rates differ from one individual to the next, how biochemicals find their way into our sweat, and just how accurately these indicators reflect blood glucose remain unanswered. “We need to take a step back and be careful to think about how we can make sense of what we’re measuring,” says Carlos Milla, a professor of pediatrics at Stanford University and one of Dr. Javey’s collaborators. Results from a recent study involving the device only serve to support Dr. Milla’s concern. It showed that glucose levels in sweat reflected glucose levels in blood from 30 to 60 minutes earlier. Basically, this was too long of a delay to be useful to diabetics. But this isn’t deterring Dr. Rogers. He adds that sweat glucose readings could still be helpful in screening for diabetes rather than monitoring it in real-time. Dr. Rogers is also expanding on the device’s capabilities by developing sensors for urea and creatinine, indicators of kidney functionality. What do you think of this sweat-analyzing device? Do you think it’s the future of health tech wearables? Let us know in the comments!